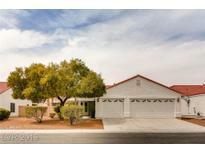 Below you can view all the homes for sale in the North Meadows subdivision located in North Las Vegas Nevada. 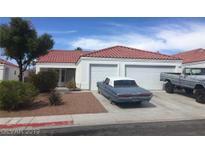 Listings in North Meadows are updated daily from data we receive from the Las Vegas multiple listing service. To learn more about any of these homes or to receive custom notifications when a new property is listed for sale in North Meadows, give us a call at 702-323-5963. Ceiling Fans, French Doors, Covered Patio, Solar Screens, Epoxy Garage Floors, H2o Softener!! Large Lot, Possible Rv Parking! ! MLS#2085417. Realty ONE Group, Inc. Stunning Home With Lots of Upgrades * Very Clean & Well Maintained By Original Owners * Spacious Floor Plan With Formal Living & Family TV Room With Custom TV Wall * Beautiful Kitchen With A Perfect Nook For Your Table * Brand New Window Shutters * Bedroom & 3/4 Bathroom Down Stairs * Large master Suit & Bath With Double Separated Sinks * Tall Trees Front And Back Yard * Covered Patio In A Relaxing Back Yard... MLS#2081576. 24 Hour Real Estate. Simple process to transfer solar lease. MLS#2079464. Lyons Share Real Estate. Don't let this one get away! 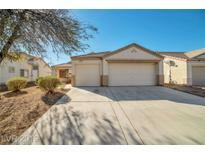 MLS#2078784. Investpro Realty. Call list agent Marcus J Cooper for details MLS#2076386. Urban Nest Realty. Don’t miss out, Make an offer today!! PRICE TO SELL! ! MLS#2073130. Compass Realty & Management, L.
Nicely landscaped. Priced right and move-in ready. MLS#2068272. Realtech Realty. Low HOA. Show this one today! MLS#2050725. Las Vegas Shorewood Real Estat.